The wise old forest wizard has provided a watchful eye over the kingdom for over 1000 years. Together with his fairies he has been protecting the innocent villagers from the strange and dark forces controlled by the evil witch. This epic battle between the forces of good and evil is as old as time itself, but now the kingdom is danger. The Forest Wizard must leave the kingdom and he is now seeking a replacement. He wants you to become the new forest wizard and guard the kingdom against the wicked enchantments and spells of the evil witch. 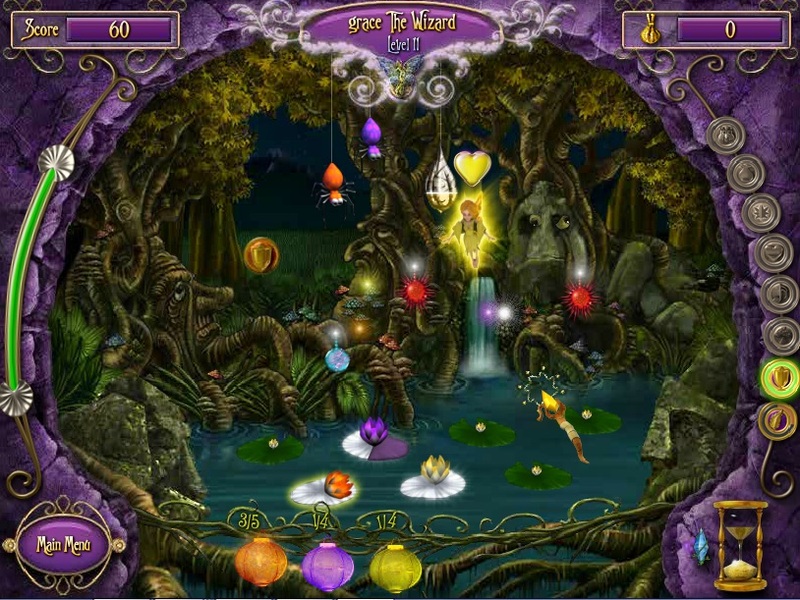 The forest wizard relies on fairies to help guard the kingdom and to begin your new life, you must first learn how to create them in the magical pond. 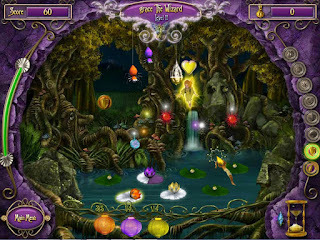 Using lilies, fireflies and a bit of special magic you will create the special fairies and learn to send them to protect the villager's houses. The old wizard will also teach you the secrets of wizardry instructing you on the spells and potions you will need to defeat the dark forces. But beyond the magical pond the peaceful kingdom is not what is seems, deep within the forest there are enchanted animals and evil spells. The witch is a potent opponent who is willing to go to any lengths to battle with you for the reigns of the kingdom.